This is a continuation of the Pre Launched March Collection from Nail Nation 3000. But instead of Holographic polish, its a glitter polish. 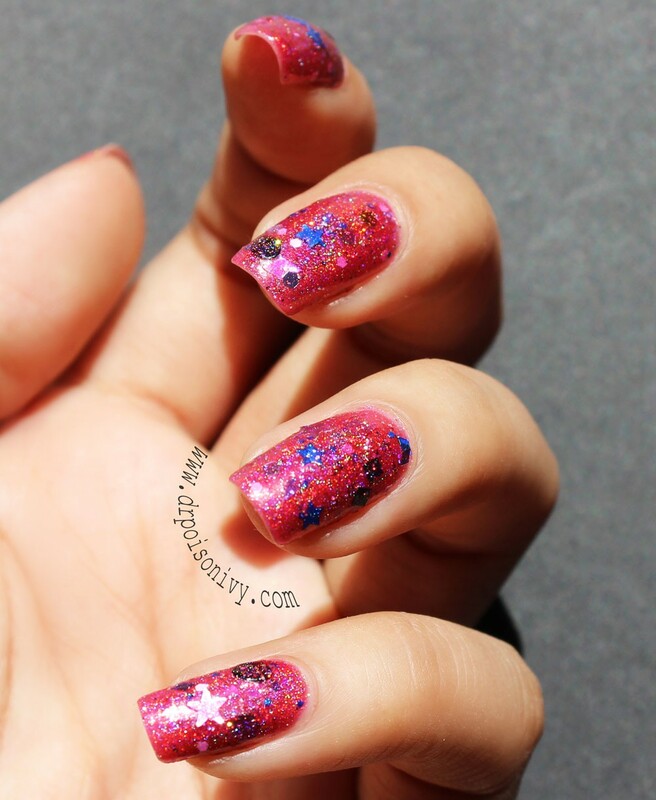 "Sweet Dreamz" is a purplish pink glitter polish with multi chrome micro glitters plus lots of Blue stars,Square black,blue,silver glitters,Random black oval spots. I have applied this on top of a Gold based holo polish "HOLO in Bad lands"
Had to apply 3 coats to acheive the opacity. You can visit the Links below to check out more polish in Nail Nation Store.